Written in 1991, this play reflects the dramas of everyday life in Belfast â€“ burning buses, road blocks, gunfire. But these are off-stage events in this stirring play about the lives of three women whose men have been killed or imprisoned for their political activism but where bread must still be bought between explosions. Set in Marieâ€™s kitchen, ordinary life goes on, with risks being taken to visit a nightclub, but the appearance of a disturbing young girl threatens Marieâ€™s carefully structured widowhood and too many drinks shows Cassieâ€™s rebelling in the cold light of dawn. In spite of its chilling theme there are many humorous and heart-warming moments. This is a play about people, not politics. 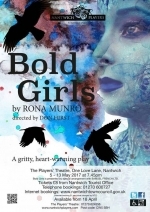 Directed by Don Hirst, performances will be at 7.45pm on 5th â€“ 13th May, 2017. Auditions will be held at the Theatre at 7.45pm on Tuesday 28th February. Non-members may audition by joining and paying membership on the night. 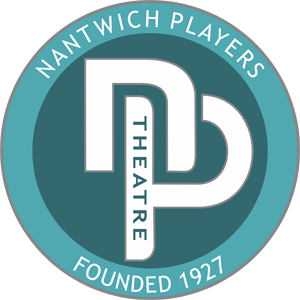 Tickets priced at Â£8.00 will be on sale from Nantwich Tourist Office (01270 600727) or on-line at www.nantwichtowncouncil.gov.uk from Tuesday 18th April 2017.